In the efforts to maintain Southern Nevada’s precious water resources, The Southern Nevada Water Authority (SNWA) needs to conduct assessments of its major infrastructure and water intake systems to understand their condition and identify any repairs or upgrades that might be needed. Reaching and providing high quality imagery in areas such as Lake Mead can be challenging because of the depth of the intakes. SNWA partnered with Abyss Solutions to conduct comprehensive assessments of three water intakes at Lake Mead and a standalone reservoir facility. Abyss Solutions is a robotic infrastructure assessment and management company based in Australia. Abyss found two out of three of the intakes to be in good condition. One of the two, which was inoperative at the time of inspection, had no visible damage though its structure had minor deterioration. No repairs were recommended, but a coating of quagga mussels at least 5/8 of an inch thick suggested a need for continuing monitoring and treatment of the region. The second “good” intake system showed a light layer of quagga mussels and apparent minor corrosion discoloration at a weld spot. Abyss suggested further investigation of the seeming damage at that spot as well as continuing quagga mussel treatment and observation. A third intake system, which like the first is also currently out of use, was reported to be in fair condition due to apparent corrosion discoloration on screen support members. Abyss recommended repair of that problem should the intake system be put back into use, and it also suggested continuing quagga mussel assessment and treatment for this region as well, due to two or three dense layers of the invasive species across the structure. Three-dimensional images of certain points of interest provided the water district with an even more advanced ability to assess the structure as a whole, with zoom and rotation abilities as well as clickable annotations. The technology used to assess the intakes also delved into a standalone reservoir, and a three-dimensional analysis of the system was compiled for engineers and other officials at SNWA, offering a complete portrait of the state of the structure. Through both assessments, Abyss Solutions provided the Southern Nevada agency with early access to an innovative and relatively low-cost technology. The remotely operated vehicles provide a smaller-scale alternative to massive machines with an enormous cost of operation and purchase. While in the country, the company also did a pilot with the U.S. Coast Guard, and its technology is being piloted in cooperation with oil and natural gas companies in the Middle East. It is also piloting its algorithms in the United Kingdom. Such projects will expand the knowledge base of the Abyss crews involved and allow them to better test and refine the technology they use in Nevada and abroad.  Abyss Solutions has made Nevada its home base in the Western United States as a result of its partnership with WaterStart. It is now seeking additional work in the region in order to secure a full-time presence in Nevada. The company is in the process of discussions with the Las Vegas Valley Water District to arrange inspections of groundwater wells and reservoirs, providing a cost-effective manner of comprehensively monitoring vital water assets in the region. Abyss Solutions is a robotic infrastructure assessment and management company based in Australia. Founded by a group of four academic researchers and advanced-degree students at the University of Sydney in 2014, the company offers water resource managers a detailed appraisal of the condition and environment of their underwater infrastructure with cutting-edge technology. Utilizing a remotely operated vehicle, a high-fidelity imaging system and a refined data analysis process, Abyss captures visual, acoustic and location data from the infrastructure. The company can then interpret the collected data to generate three-dimensional models of such systems, assessments of quality/condition and periodic evaluations of changes in the infrastructure over time.